The elementary particles of ‘new physics’ must be so massive that their detection in the LHC, the largest modern accelerator, will not be possible. This none- too-optimistic conclusion comes from the most comprehensive review of observational data from many scientific experiments and their confrontation with several popular varieties of supersymmetry theory. The complicated, extremely computationally demanding analysis was carried out by the team of the international GAMBIT Collaboration – and leaves a shadow of hope. Is it possible for today's apparatus to detect the elementary particles of ‘new physics’ that are capable of explaining such mysteries as the nature of dark matter or the lack of symmetry between matter and antimatter? To answer this question, scientists from the international GAMBIT (Global and Modular Beyond-the-Standard-Model Inference Tool) Collaboration have developed a set of software tools that comprehensively analyse data collected during the most sophisticated contemporary experiments and measurements. The first results, which are quite intriguing for physicists, have just been published in the European Physical Journal C. The Institute of Nuclear Physics of the Polish Academy of Sciences (IFJ PAN) in Cracow participated in the work of the team. Theoretical physicists are today firmly convinced that the Standard Model, our current, well-verified theory of the structure of matter, needs to be expanded. A strong pointer to the existence of unknown elementary particles is the movements of stars in galaxies. The Polish astronomer Marian Kowalski was the first to investigate the statistical characteristics of these movements. In 1859 he discovered that the movements of the stars close to us cannot be explained by the movement of the Sun itself. This was the first indication of the rotation of the Milky Way (Kowalski is thus the man who “moved the entire galaxy from its foundations”). In 1933, the Swiss astrophysicist Fritz Zwicky took the next step. From his observation of galaxies in the Coma cluster, he concluded that they move around the clusters as if there were a large amount of invisible matter there. Although almost a century has passed since Zwicky's discovery, it has not been possible to investigate the composition of dark matter to this day, nor even to unambiguously confirm its existence. Over this time, theoreticians have constructed many extensions of the Standard Model containing particles that are to a greater or lesser extent exotic. Many of these are candidates for dark matter. The family of supersymmetric theories is popular, for example. Here, certain new equivalents of known particles that are massive and interact weakly with ordinary matter constitute dark matter. Naturally, many groups of experimental physicists are also looking for traces of such ‘new physics’. Each of them, based on theoretical assumptions, carries out a certain research project, and then deals with the analysis and interpretation of data flowing from it. This is almost always done in the context of one, usually quite narrow, field of physics, and one theory for what might be beyond the Standard Model. 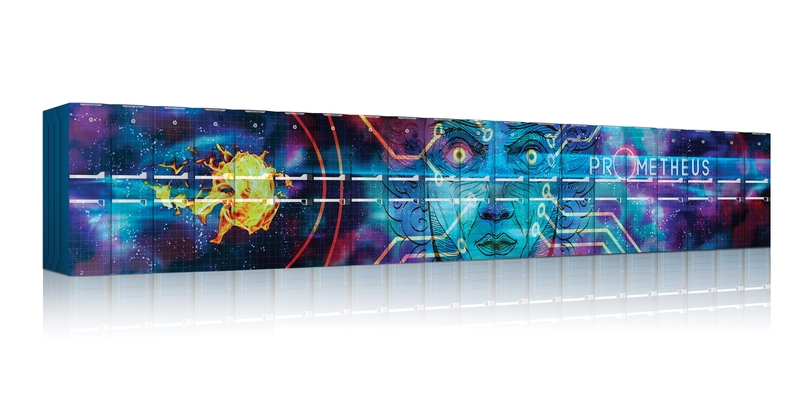 “ The idea of the GAMBIT Collaboration is to create tools for analyzing data from as many experiments as possible, from different areas of physics, and to compare them very closely with the predictions of new theories. Looking comprehensively, it is possible to narrow the search areas of ‘new physics’ much faster, and over time also eliminate those models whose predictions have not been confirmed in measurements ,” explains Dr. Marcin Chrzaszcz (IFJ PAN). The idea to build a set of modular software tools for the global analysis of observational data from various physical experiments arose in 2012 in Melbourne during an international conference on high energy physics. Currently, the GAMBIT group includes more than 30 researchers from scientific institutions in Australia, France, Spain, the Netherlands, Canada, Norway, Poland, the United States, Switzerland, Sweden and Great Britain. Dr Chrzaszcz, financed by the SONATA grant from the National Science Centre in Poland, joined the GAMBIT team three years ago in order to develop tools modelling the physics of massive quarks, with particular reference to beauty quarks (usually this field of physics has a much more catchy name: heavy flavour physics). Verification of the new physics proposals takes place in the GAMBIT Collaboration as follows. Scientists choose a theoretical model and build it into the software. The program then scans the values of the main model parameters. For each set of parameters, predictions are calculated and compared to the data from the experiments. “ In practice, nothing is trivial here. There are models where we have as many as 128 free parameters. Imagine scanning in a space of 128 dimensions! It's something that kills every computer. Therefore, at the beginning, we limited ourselves to three versions of simpler supersymmetric models, known under the abbreviations CMSSM, NUHM1 and NUHM2. They have five, six and seven free parameters, respectively. But things get complicated anyway, because, for example, we only know some of the other parameters, of the Standard Model, with a certain accuracy. Therefore, they have to be treated like free parameters too, only changing to a lesser extent than the new physics parameters ”, says Dr. Chrzaszcz. The scale of the challenge is best demonstrated by the total time taken for all the calculations of the GAMBIT Collaboration to date. 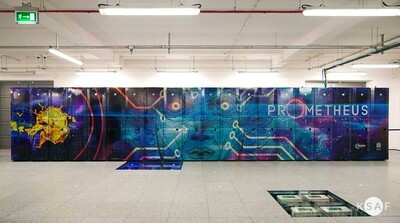 They were carried out on the Prometheus supercomputer, one of several of the fastest computers in the world. The device, operating at the Academic Computer Centre CYFRONET of the University of Science and Technology in Cracow, has over 53,000 processing cores and a total computing power of 2,399 teraflops (a million million floating-point operations per second). Despite the use of such powerful equipment, the total working time of the cores in the GAMBIT Collaboration amounted to 80 million hours (over 9,100 years). For seekers of ‘new physics’, the GAMBIT Collaboration does not bring the best news. The analyses suggest that if the supersymmetric particles predicted by the studied models exist, their masses must be on the order of many teraelectronvolts (in particle physics the mass of particles is given in energy units, one electronvolt corresponds to the energy necessary to shift the electron between points with a potential difference of one volt). In practice, this means that seeing such particles at the LHC will be either very difficult or even impossible. But there is also a shadow of hope. A few superparticles – known as neutralinos, charginos, staus and stops – although having quite large masses, do not exceed one teraelectronvolt. With some luck, their detection in the LHC remains possible. Unfortunately, in this group only the neutralino is considered a potential candidate for dark matter. Unlike many other analytical research tools, the codes of all the GAMBIT modules are publicly available on the project website (http://gambit.hepforge.org) and can be quickly adapted to the analysis of new theoretical models. Researchers from the GAMBIT Collaboration hope that the openness of the code will speed up the search for ‘new physics’. "Global fits of GUT-scale SUSY models with GAMBIT"